Welcome to the Freebie Page. 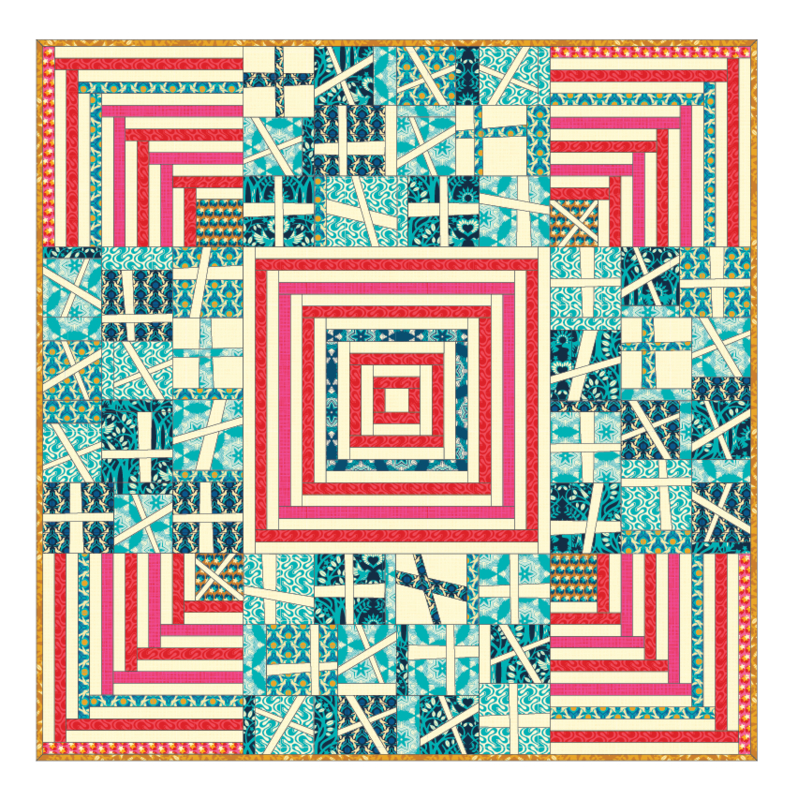 You will mostly find Free Downloads for Quilt Blocks and Patterns here, but every once in awhile I like to play with Illustrator and make fun little paper things too. Enjoy! 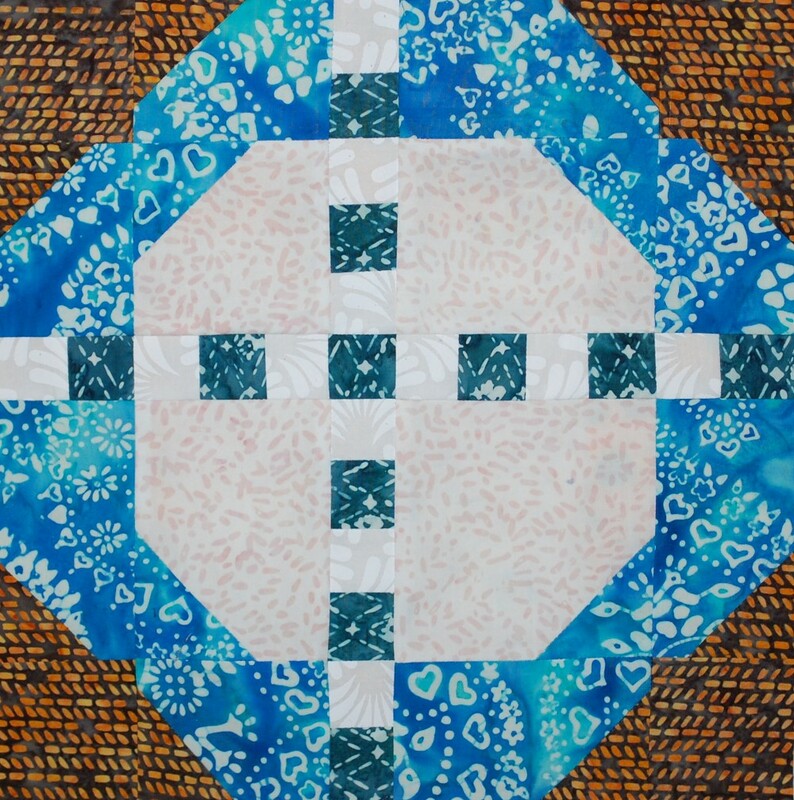 Please post your results on Social Media and tag #bluenickelstudios and #urbanfolkquilts as you are able! Click here for a link to my interview with Pat Sloan for the Aurifil Designer of the Month Block – Birch Ball. 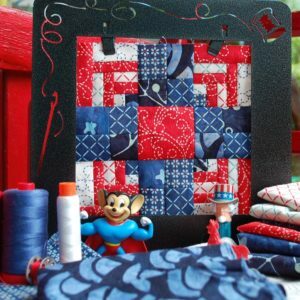 There is a link in the interview to a PDF with the pattern for this fun block! Click on the diagram above to download a Free Coloring Page for you to print out and then scheme away for just the right Color Chemistry for your Bobbin Chase Block from The Splendid Sampler. In the fall of 2016 Heather Bailey and I collaborated on using her Hello Love line from Free Spirit in my New Glory quilt pattern. 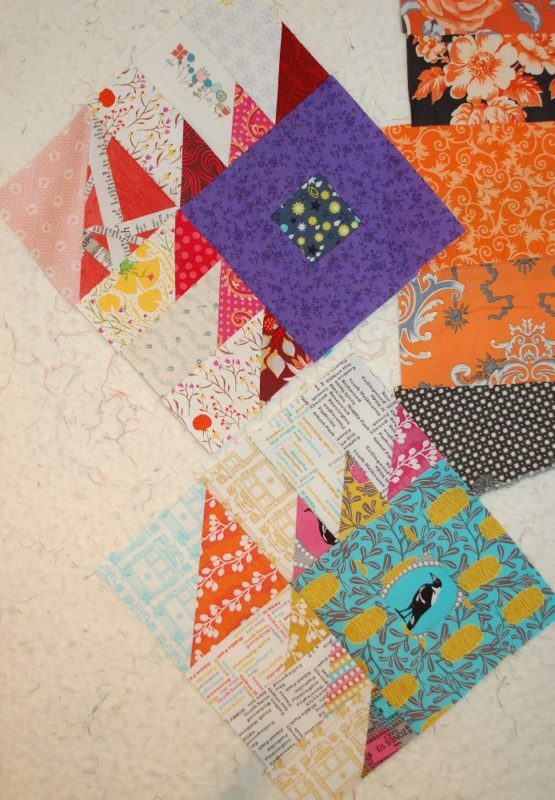 Here are the Alternative Directions for piecing the striped sections of the quilt. Enjoy! 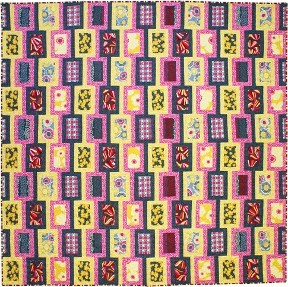 This pattern is an oldie but a goodie – still free on the Robert Kaufman website last time I checked. Click the photo for the link. 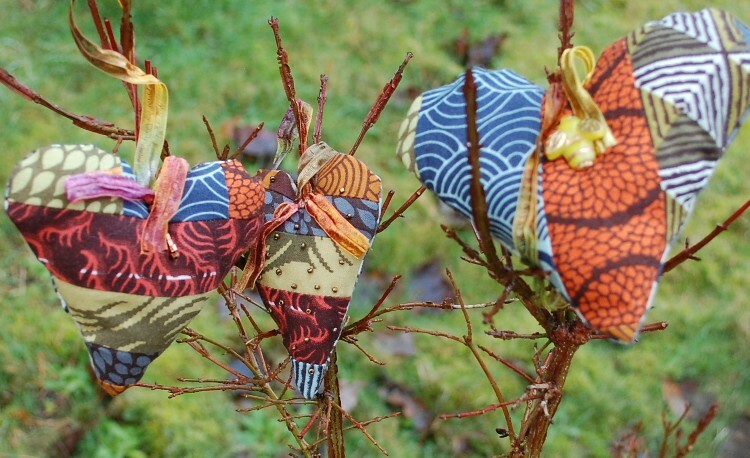 Check out this Tutorial for these Steampunk Patchwork Hearts – PDF with simple Heart shape link is in the text of the Tutorial (click on the photo for the link) — PS you can make these any way you want. I just re-discovered this basic plan for improv blocks in the Blue Nickel Archives. Fun to do in a two color scheme as shown here. Click on the photo for a printable PDF. Take some time to play and make a couple blocks today! 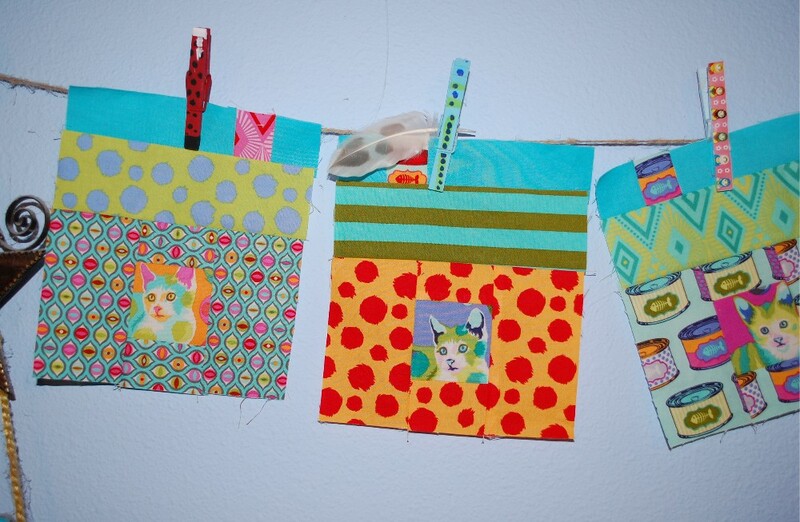 Click on the photo above to whip up some Super Scrappy Fun with my Something Fishy Block!!! 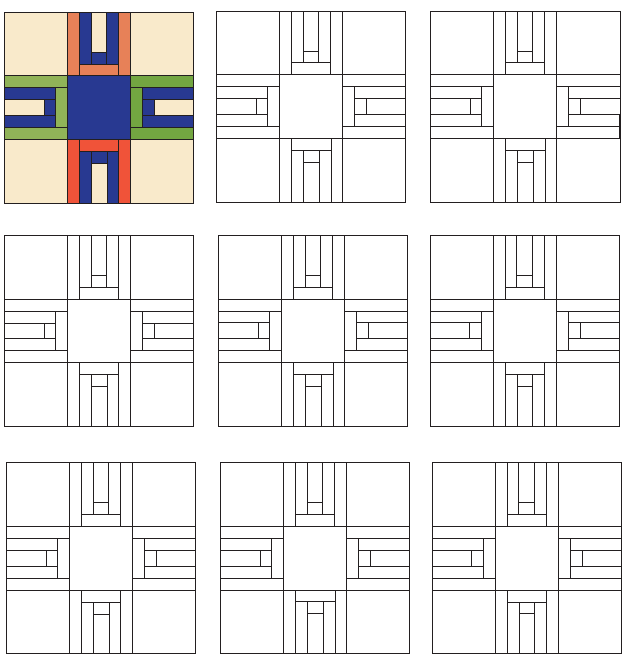 Click on the photo above for the PDF to make your own Little Modern Houses. 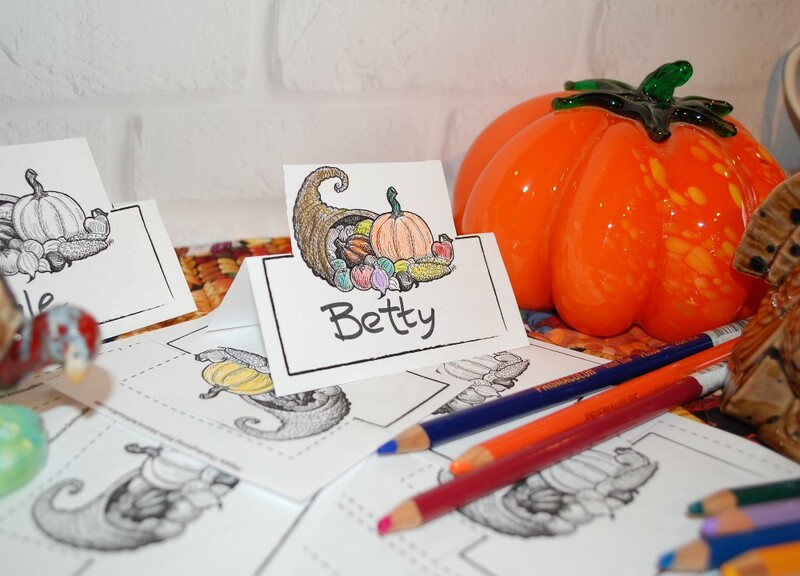 Click on the photo for a free PDF coloring sheet of Thanksgiving Place Cards. Keep those kids busy coloring! You can too if you want!